Most authors think up a story and go around trying to get people interested in it. Eva Wong Nava, however, had a story concept proposed to her. And after a good bit of creative writing, it's now a published book that's attached to a movie. You can read about her amazing writing adventure in the interview below. Lesson to learn: anything's possible. Writing dreams can get fulfilled in some pretty unusual ways. Thanks to Eva for taking the time to do this. Eva's links are at the end of the interview. Eva's also a member of the Society of Children's Book Writers and Illustrators, you can read about some of our local members here. Hello! 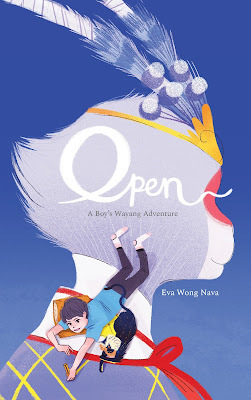 I’m Eva Wong Nava, author of Open - A Boy’s Wayang Adventure. My book is about a 10-year-old boy, Open, who is on the autism spectrum. He likes to draw and is very good at drawing monkeys. 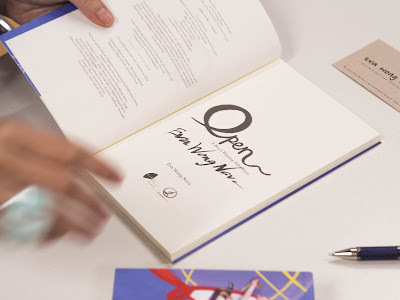 The book charts how Open must overcome his obstacles to perform on stage as his class has been selected to perform The Monkey King’s Journey to the West in a school play. This explains why the title has the word Wayang in it. Wayang is a Malay word used in Singapore to refer to the Chinese Opera brought to British Malaya during the 19th century by Chinese immigrants from South China. Although the Chinese opera is performed in various Chinese dialects—Teochew, Hokkien, Cantonese—the word Wayang was used to refer to it by the Chinese population. This Malay word has since stuck and all Singaporeans and Malaysians—whether they are Chinese, Malay or Indian— say wayang when they are talking about Chinese street opera. Why write a book about Autism? My personal experience with Autism (or Autism Spectrum Disorder - ASD) is a distance one, I must admit. I have two neurotypical daughters. This means that I’m not a parent of autistic individuals. But, I have a very good friend, Agnes, whose son is autistic. When I was living in London, I spent a lot of time with Agnes, seeing her almost on a daily basis. By hanging out with her and her family, I’ve come to learn how challenging it is to parent an individual on the autism spectrum. I saw the difference that support within the community, for example, in schools, libraries and other public centres, made to the lives of parents like Agnes. I also saw how awareness of autism enabled individuals on the spectrum to be understood and accepted within their communities. I feel privileged to have learned and lived vicariously through Agnes’s journeys; her son is 24 this year and I’ve known him since he was eight. Agnes and I don’t see each other so much anymore because I now live in Singapore. But I’m still learning and living from her during my travels back to London. Besides Agnes, I have other friends who are also parents to autistic children. I may not see these friends as often but I’m aware of how they live and manage their lives. So you can understand how ASD has a special place in my heart. How did you decide on a Wayang angle for your story? 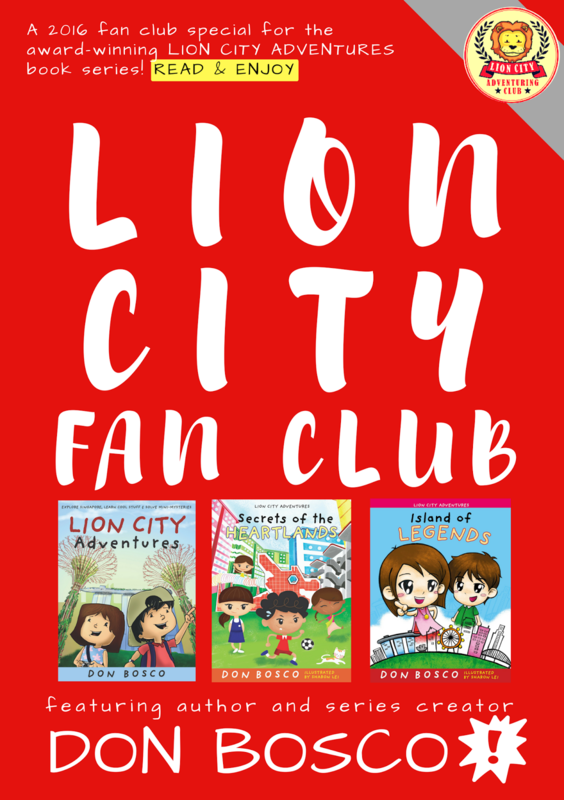 I was approached to write this book by Raymond Tan of Brainchild Pictures, who produced a movie The Wayang Kids. The movie is screened at all Shaw cinemas island-wide from March 8. Bridging page and moving image is not a new concept. Many books have been made into movies, as we know. But a book from a movie is rather rare. So I thought why not? I would face some challenges, of course, as the book is a collaboration which means that I will not have sole control over its contents. As a writer, I can’t help but be protective of my written words; they are my babies, after all. However, the partnership has been a smooth collaboration because Raymond has generously left me with full control over the writing of Open. In this way, the collaboration led to a book that is an adaptation of the movie rather than a book based on the movie. 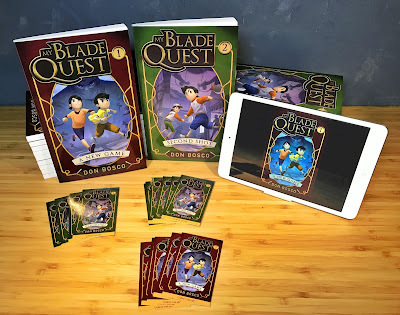 Critics have commented on my ability to write from the perspective of a boy on the Autism Spectrum and are curious about the research process behind the writing of this book. As a writer, research is very important. To write about a fictional character like Benjamin Oh or Open, I’ve had to talk to people who are parenting individuals on the spectrum; their stories are precious. The internet and I became best friends. There are informative articles galore that support parents with children on the spectrum, I read these articles as part of my research. I can say that my research on autism started way before this book. Having spent so much time with Agnes and her son, I observed how their lives are impacted by ASD. My own curiosity also led me to find out about autism related conditions, like how certain food and noises can affect someone on the spectrum. These nuggets of knowledge found their way into the book. As the book is also about the Wayang, my research led to finding out about the history of the Chinese Opera and the story of the Monkey King which Open - A Boy’s Wayang Adventure focuses on. It’s good to know that the Wayang isn’t always about the Monkey King or Sun WuKong, as he is known in Mandarin, although the Monkey King’s Journey West is the most famous story amongst them all. Because the film focuses on the Monkey King, it made researching the Chinese Opera much easier for me. I decided to use the monkey as a motif for the story of Open. The Wayang is also quite close to my heart because my mother used to accompany my grandmother to watch the Wayang in a Singapore long long ago. The Wayang was the only entertainment of the day when television, Netflix and Youtube were future inventions. Mummy would tell me about her adventures with Grandma, whom I called, Mah Mah, and the stories of the Wayang world. For the benefit of aspiring authors, do share with us your journey to becoming a publishing author. Some emerging writers have asked me how my publishing journey unfolded. I must say that this journey has been a lucky break for me as a writer. 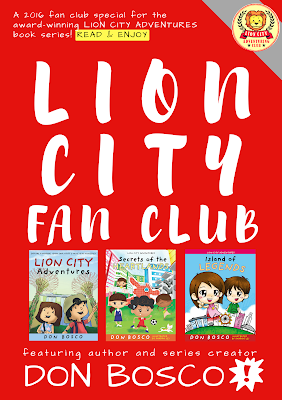 It was a chance meeting with Raymond Tan at the Asian Festival of Children’s Content (AFCC) 2014 where the magic happened that materialised into the book. It was because I’d reached out to him and started a conversation about the moving image and text that year which cemented our friendship. People often ask me for advice on writing. I don’t think that I’m in any position to give advice since our writing journeys are all different and take their own course. Mine has been a forked path. I feel the most important thing as a writer is to remain true to the craft, find the time and space to write, even if it’s journaling or blogging, and always reach out to like-minded souls. Start conversations and always be encouraging of other writers. We can all write, whether we write well or intelligently or effortlessly is down to practice and passion. The other thing which I find important as a writer is to read discerningly. Spend time with other writers through their books. The road to being published is fraught with many hurdles. There will be many rejections before a publisher believes in you. Don’t take these rejections personally, it is not always about you as a writer. Never let these rejections steer you away from your chosen path either. Publishers have certain styles of genres that they work with. If it’s not this one, there’ll be another. 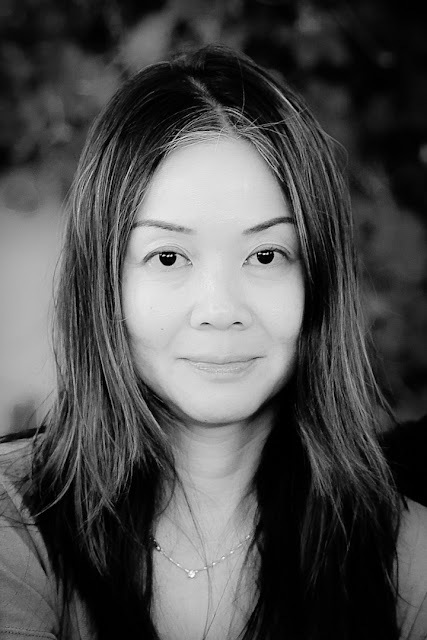 I started as a Flash Fiction writer before becoming a children’s author. I founded CarpeArte Journal to publish my own writing, and to give other people a space to share their work; I understand what it’s like to be rejected. The journal has since taken a life of its own and I’m getting a lot of submissions of Flash and poetry; Duotrope has listed the journal too which means that other writers can find the journal easily. I look forward to reading other people’s work because it is from reading that we grow as writers. I look forward to giving these authors a space to share their work because often writing isn’t always about being paid for your craft; writing is a social process and activity, it is about building and belonging to a community. Collect all 6 books in the series!